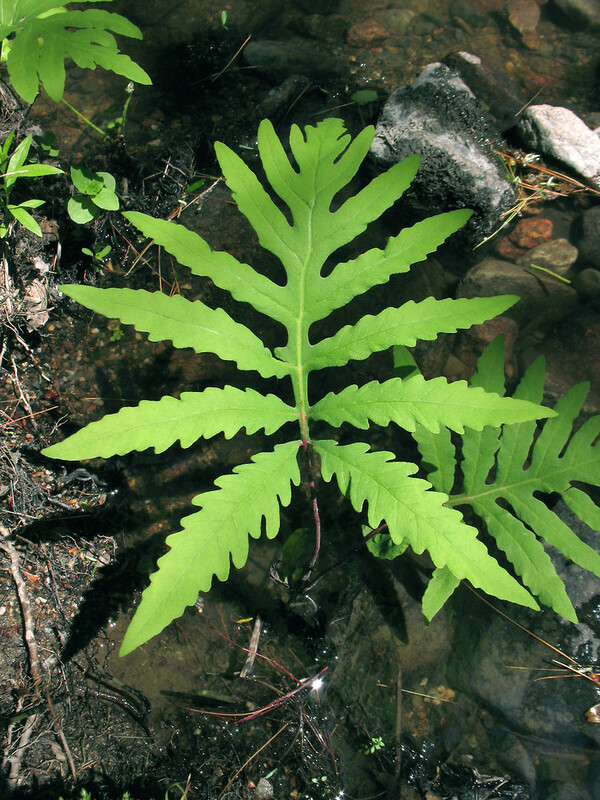 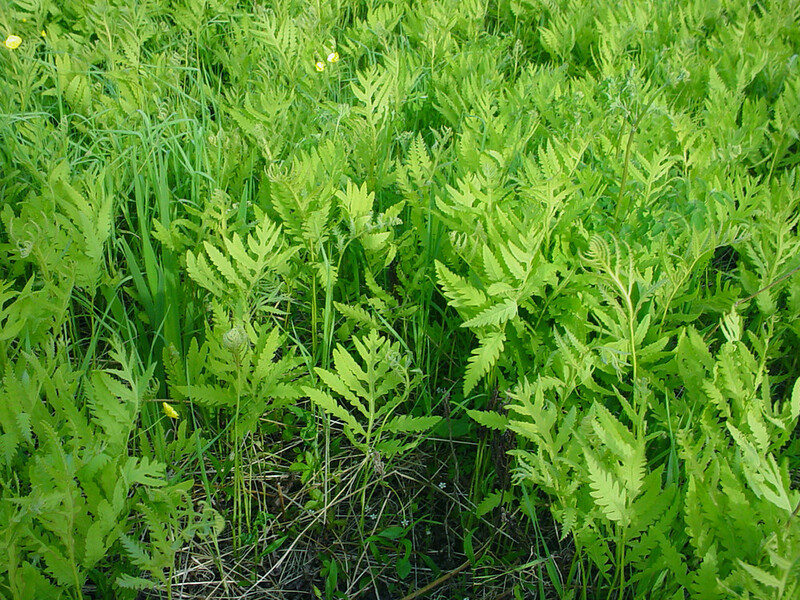 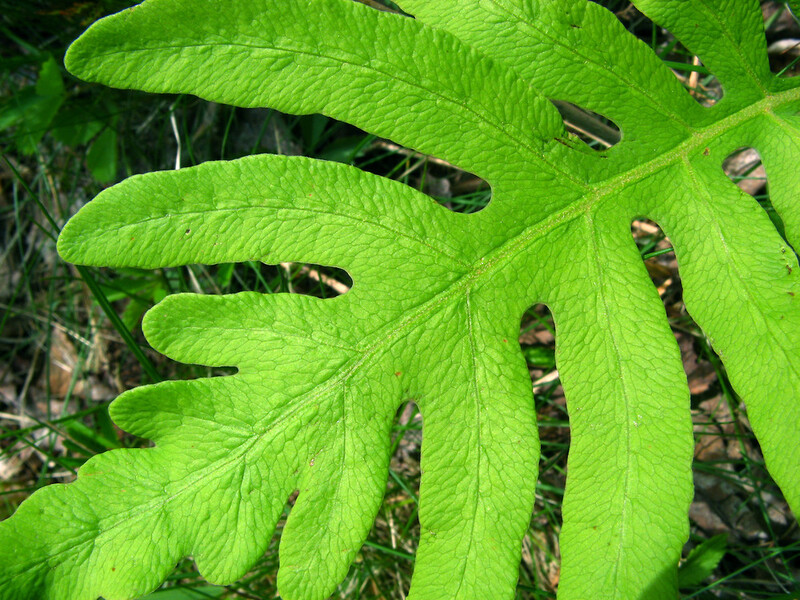 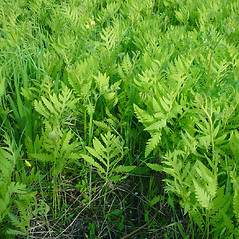 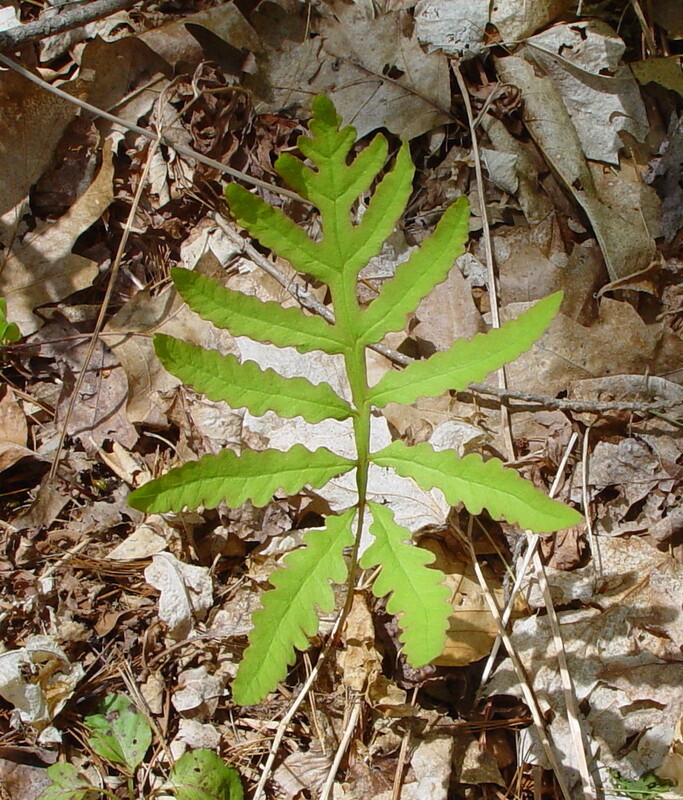 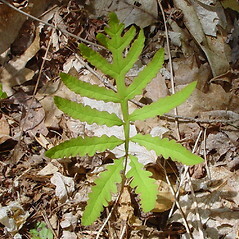 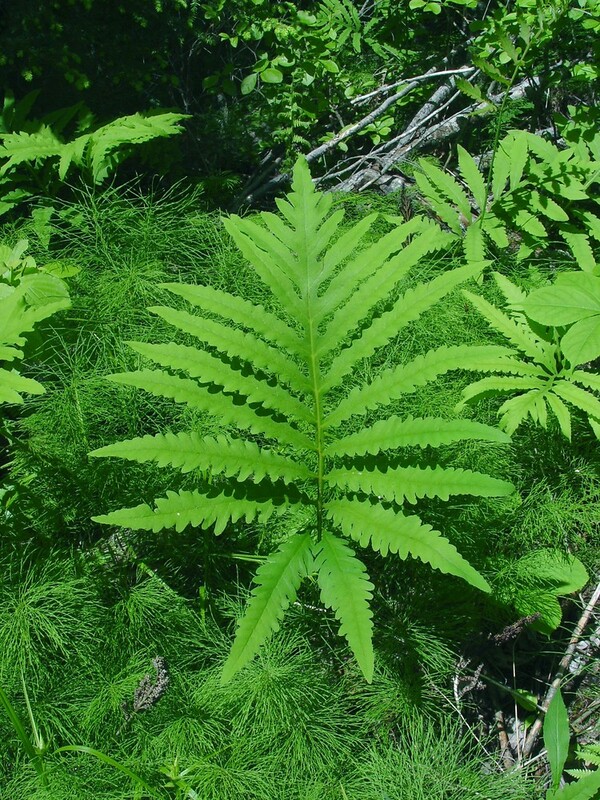 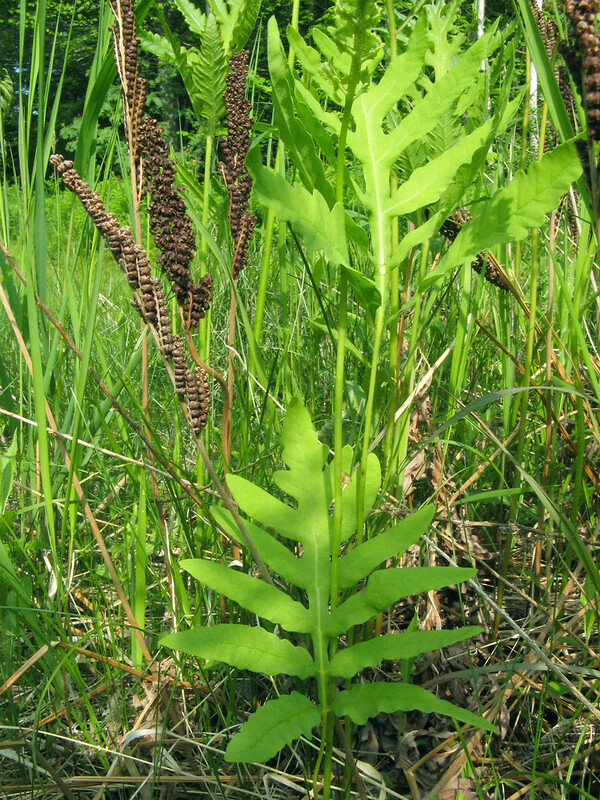 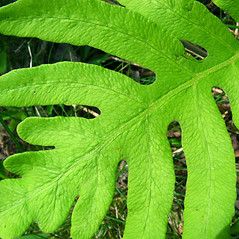 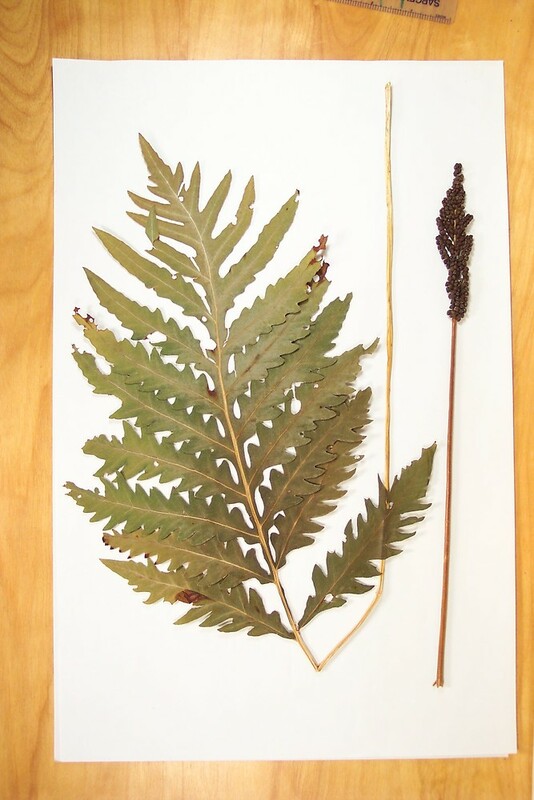 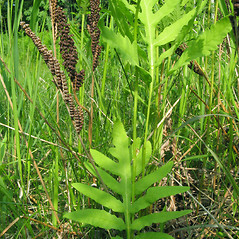 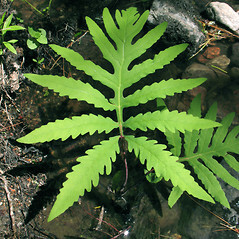 The susceptibility to frost of the sterile fronds gives sensitive fern its name. 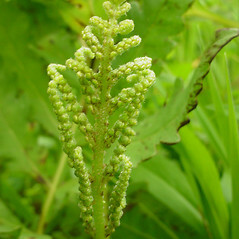 It spreads rapidly and can form large colonies. 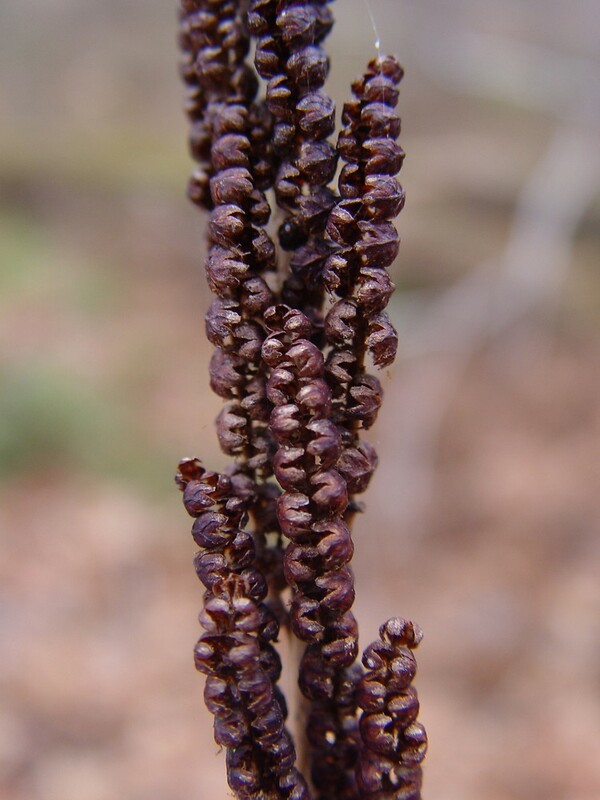 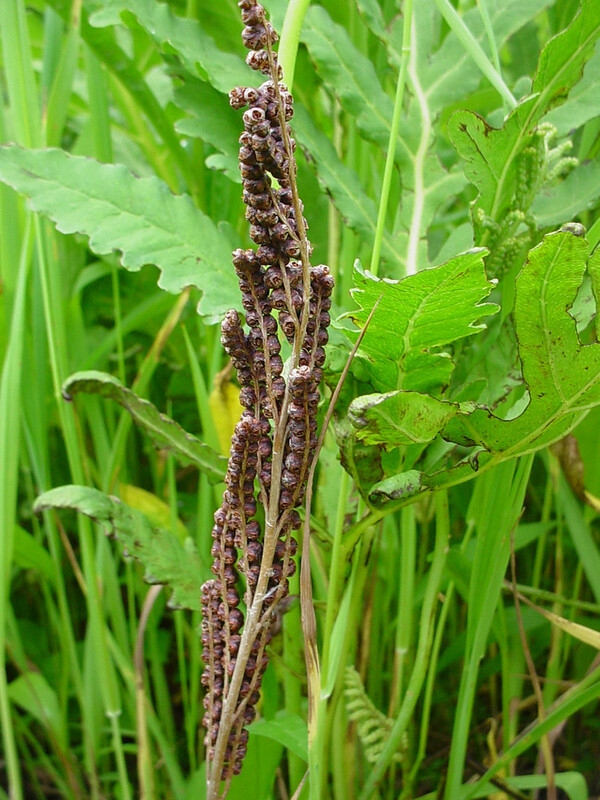 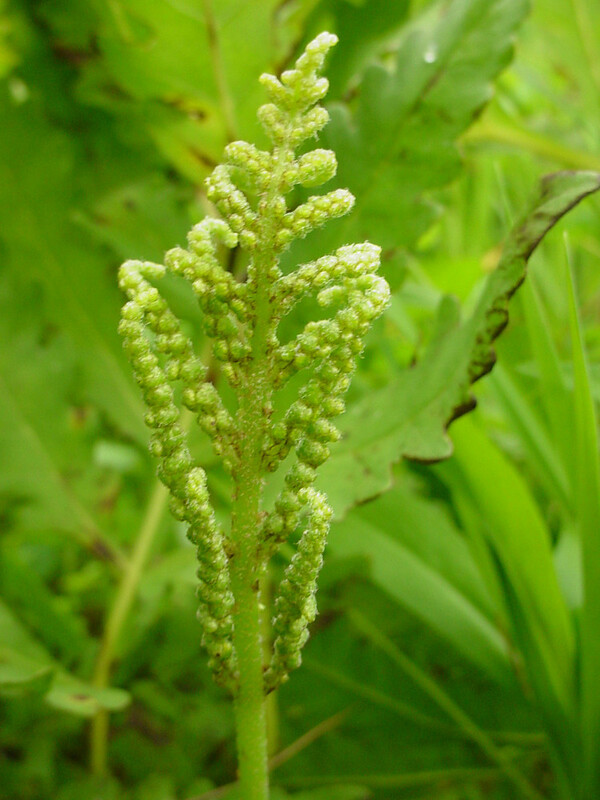 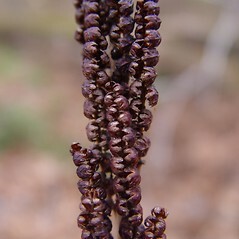 The spores are not released until the spring following the season in which the fertile fronds are produced. 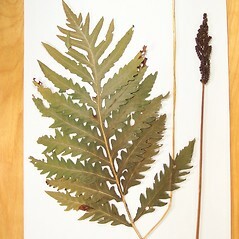 vegetative leaves with leaf lobe margins minutely toothed and lacking a pale, marginal membrane (vs. O. sensibilis, with vegetative leaves with leaf lobe margins entire to undulate and with a pale, marginal membrane). 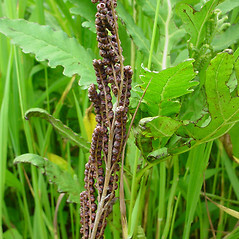 Onoclea sensibilis var. 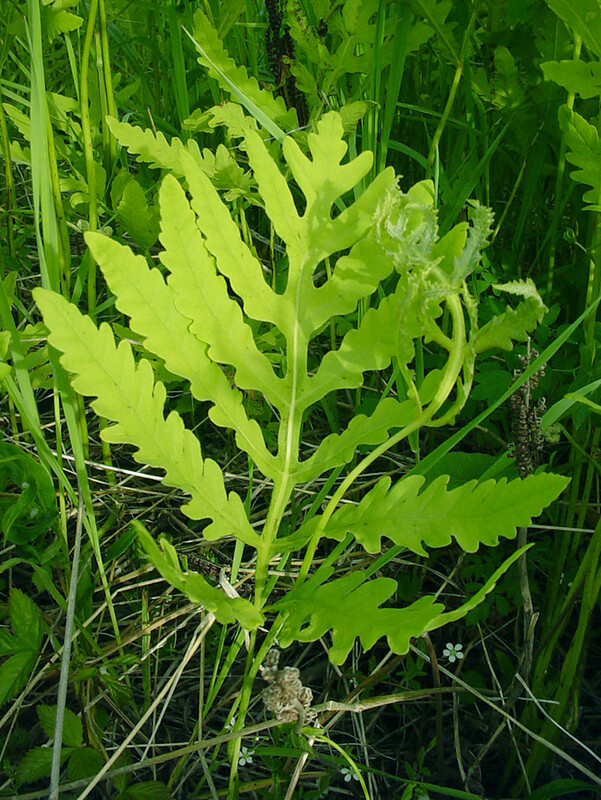 obtusilobata (Schkuhr) Torr. 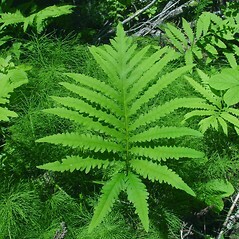 sensitive fern. 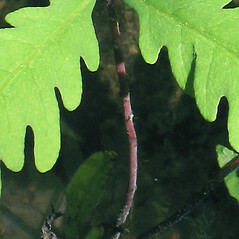 Onoclea sensibilis L. var. 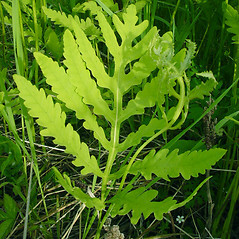 obtusilobata (Schkuhr) Torr. 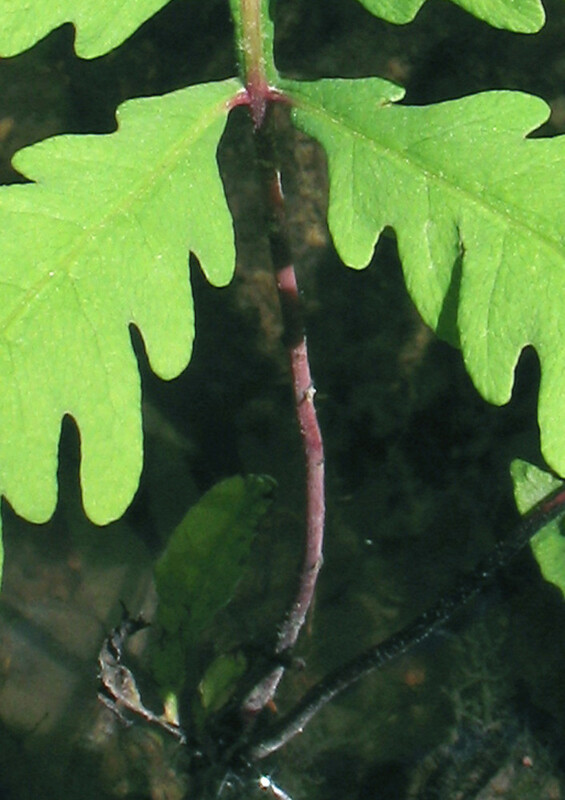 • CT, MA, ME, NH, RI, VT. Wet-mesic to hydric soils of fields, borders, swamps, and shorelines.